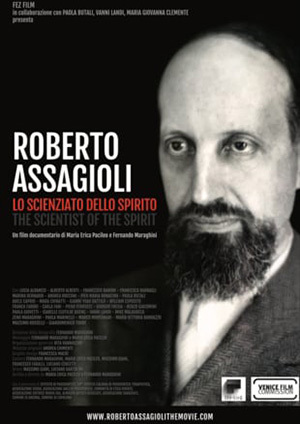 The decent of transpersonal energies into the ordinary field of consciousness is connected with different states of consciousness or modalities which Roberto Assagioli outline in this article. If we were to look about us at the “signs of the times”, the present state of humanity, the direction of its interests and the nature of its behavior, we should doubtless be struck by a growing polarization between two opposing tendencies. On the one hand there is an immoderate desire for and frantic pursuit of material possessions, sensuous enjoyment, mastery of nature and authority over other human beings, coupled with the inevitable accompaniments in every field of licence and self-assertiveness, individual and collective aggressiveness, and violence. On the other hand we find, displayed in a more or less overt form, a degree of dissatisfaction with that materialism, aggression and self-centeredness which, among many of the young, becomes open rebellion. This opposition is characterized by a conscious or unconscious search for different and higher values and gratifications and a longing for what is by and large termed spiritual or religious. Another difficulty stems from the inadequacies inherent in language, the incapacity of verbal expression to communicate the true nature of trans-personal experience. All who have attempted description of such experiences have affirmed that they are ineffable. This is one of the characteristics attributed to mystical experience by William James in his Varieties of Religious Experience. Finally, the fear of adventuring into a different world from the common, everyday one must be reckoned with, a world that is unknown and apt to be baflling. This fear is strengthened by the frequent presentation of this “adventuring” in a negative way, usually calling for the renunciation of all that man is generally attached to, while insufficient stress is laid on its positive and joyous aspects. All this builds strong resistance and reluctance as well as what has been called the “refusal of the sublime”. And yet, despite all, the dissatisfaction and search for “something other”, the fascination in exploring and conquering the inner worlds, whose vivid light many have glimpsed, have bad the effect of drawing large numbers to those who present themselves as “messengers” and guides in this sphere, and who collect around themselves enthusiastic and often fanatical adherents and disciples. But wide variation in value distinguishes the messages and the competence of these guides, or “masters”. Side by side with lofty and genuine teaching is proffered what is either totally spurious or contains an admixture of truth and illusion in varying proportions. Flanking the truly wise guides are to be found the false prophets who employ and teach methods that are not only worthless, but sometimes dangerous as well. Herein lie the necessity and urgency of scientific study and experimental investigation in this field: scientific in the sense of being independent of every doctrine, system and personal authority. Means and techniques for transpersonal realization: Descent and Ascent. The phenomenology, i.e., the assemblage of spontaneously acquired experiences an(l observed facts, such as have been described and presented by a large number of witnesses of every time and place. The modality of the processes by which the passage from the super-conscious to the conscious is effected. The Techniques which have served, and still serve, to create and promote that passage. These include the various external and inner practices associated with the different religions, as well as those exercises which, though known by a variety of names, may be grouped under the generic title of Yoga . The immediate results and the subsequent effects proceeding from them. The methods for alerting dangers and redressing potential damage caused by the “descent” or by the irruption of transpersonal energies. The ways of making better and more fruitful use of these realizations and energies. Let us first of all consider the various modalities referred to above, by which the superconscious elements and activities effect passage into the field of consciousness. Here a distinction must be made between the intuition as a psychic function and the results of its action, that is, the intuitions which have different characteristics. The commonly given definition of the word is etymologicallv derived from “in-tueri”, meaning to see into. It is the sight, the immediate perception of an object apprehended in its individual reality. As a specific, autonomous cognitive function, the intuition is widely known and has been recognized in both the East and the West. Self-styled scientific psychology, on the contrary, has not acknowledged its validity as a medium of consciousness, owing to its restricted and unilateral conception of the field and methods of science, or has identified it with direct sensuous perception of external stimuli. But a reaction against this unjustified exclusivism has materialized and is continuing. The two major champions of the validity and value of intuition have been Bergson and Keyserling. 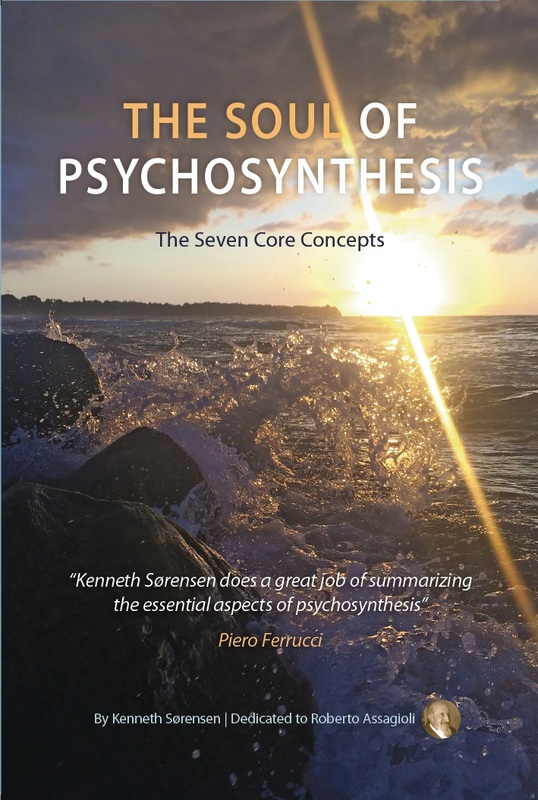 Though regarded and classed as philosophers, they both possessed an exceptionally discriminating psychic sense based on the intuition, and in Keyserling’s case, on a profound capacity for empathy and self-identification with others. They thus made invaluable contributions to the knowledge of the human mind, contributions which the new scientific psychology will have to take duly into account. I regard intuition as a basic psychological function. It is the function that mediates perceptions in an unconscious way. Everything, whether outer or inner objects or their relationships, can be the focus of this perception. The peculiarity of intuition is that it is neither sense perception, nor feeling, nor intellectual inference, although it may also appear in these forms. In intuition a content presents itself whole and complete, without our being able to explain or discover how this content came into existence. Intuition is a kind of instinctive apprehension, no matter of what contents. Like sensation, it is an irrational function of perception. As with sensation, its contents have the character of being given, in contrast to the “derived” or “produced” character of thinking and feeling contents. Intuitive knowledge possesses an intrinsic certainty and conviction, which enabled Spinoza (and Bergson) to uphold the scientia intuitiva as the highest form of knowledge. Intuition shares this quality with sensation, whose certainty rests on its physical foundation. The certaintv of intuition rests equally on a definite state of psychic “alertness” of whose origin the subject is unconscious. He terms it irrational, a designation that lends itself to misunderstanding, since it could be interpreted as contrary to reason, whereas in reality it is simply different, but not in opposition. It might well be called pararational, or, better, trans-rational. The types of intuition are three in number. There are first of all the sensory intuitions associated with the conscious perception of visual, auditory, tactile, etc., impressions produced by stimuli originating in the environment. This class need not detain us, as it is limited to personal psychic levels and does not concern the superconscious. Then we have intuitions of ideas, in the Platonic sense, and since these come from a higher region than that in which the ordinary mind functions, they may be considered to be transpersonal. The same can be said of the third kind of higher intuition, that is to say the aesthetic, the religious, the mystical and even the scientific (for instance, those of higher mathematics). 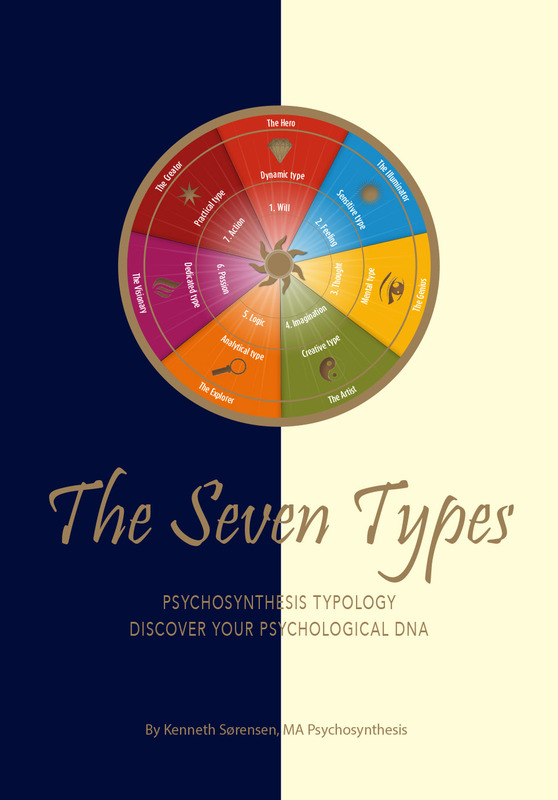 This denotes the difference between the personal psychological and the transpersonal life. Man, like all animals, is intimately linked to the total mass of beings and things, and if instinct is lacking in him or is so atrophied that he cannot depend upon his elementary impulses, then the human equivalent of instinct must intervene in order that man may freely orient himself in the COSMOS. In this sense only the intuitives are free: and that is why they alone provide all the great revealers, the leaders and the innovators. The intuition penetrates the veils of the future and, therefore, of the possible. But reality is in perpetual transformation, and therefore only he is able to see it who grasps directly what from time to time is possible, and this in a double sense. Firstly, because above all the facts some ‘possibilities’ exist; and in the second place, because he perceives directly, among the possibilities, those which at times and in determined conditions, can be realized. Both can be derived only from a primordial interior experience of the all (totality). This points to the intuition’s capacity to pass beyond the acquisition of knowledge about an object’s every quality to capture its very essence, i.e., what it IS. Thus the intuition qualifies as one of the fields of investigation of the new psychology of Being, in which Maslow was the pioneer. That the imagination has a close relationship with the intuition is evidenced by the fact that intuitions often do not present themselves to the consciousness in an abstract, simple and “pure” way, but rather in the guise of images. This entails a primary task of distinguishing the content, the essence, the idea inherent in an intuition from the form, the vestments, so to speak, which it assumes. The character of the form being symbolic, the complex and important question of symbolism arises. As I have dealt with this elsewhere (1) I shall limit myself here to emphasizing the twofold and, in a certain sense, contrasting nature and function of the symbol. It can both veil and reveal. When mistaken for the reality that it expresses, it veils it and is thus a source of illusion. When recognized for what it is, a means of expression, it constitutes a useful and at times indispensable aid to “catching” and then illuminating a transcendental reality. Independently of its cognitive function as a means and vehicle of the intuition, the imagination displays several other and different aspects. There is first of all simple reproductive imagination, that is, the vehicle of memory-pictures of sensations and impressions already experienced (mnemonic images). While the visual is the most frequent of these, memory images of other sense-mediated impressions abound, the most important being the aural. Latent and stored in what may be termed the “records of the unconscious”, they can surface spontaneously into consciousness, or be re-evoked by the will. The capacity to store and recall images is immense, one might say practically unlimited. Under certain conditions (hypnotic and feverish states) detailed memories of events occurring in early childhood can rise to the surface of consciousness. There are, again, the prodigies of memory exhibited by some great orchestral conductors (notably Toscanini) whose ability to remember entire symphonies and operas enabled them to conduct a work without reference to the score. Equally surprising is the way some advanced chess players can visualize the positions and moves of the pieces and play a number of simultaneous games without seeing the boards.Then there is creative imagination: its great importance is insufficiently recognized and its power little utilized, especially in education. As I shall be enlarging on this later when dealing with creativity, I wish at this point simply to make a passing reference to dreams, which are a mixed product of the two types of imagination: reproductive and creative. 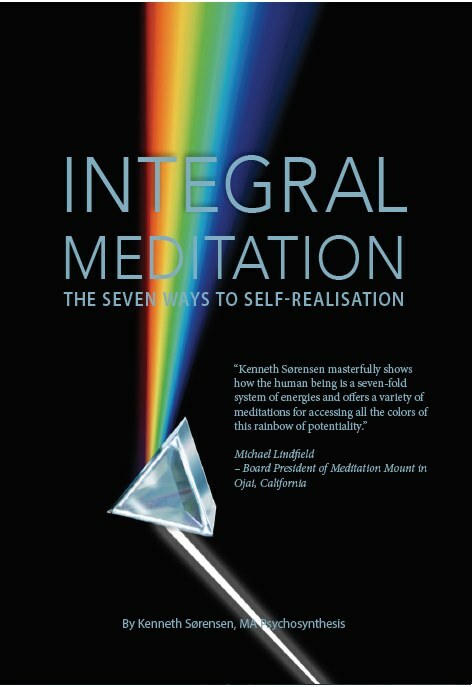 One of the ways in which the superconscious manifests most frequently in the consciousness is illumination, which follows the opening of the “inner eye”. Although intuition and illumination have a close affinity, each presents points of difference. In a general way an intuition can be said to be an illuminative flash concerning some particular aspect or manifestation of Reality. But illumination is something more expansive and enduring; it is a vision that reveals the essential nature and synthetic unity of the whole of Reality, or of some of its major aspects. It is the perception of a “light” which, emanating from Reality itself, is different from physical light. Much evidential testimony relating to this experience is contained in William James’ Varieties of Religious Experience and Winslow Hall’s Observed Illuminates. This type of illumination may be regarded as the revelation of divine immanence, of the unity of the Universal Life as it manifests through myriads of forms. Its most pertinent description is that contained in Bock X of the Bhagavada Gita, in which it is termed the “Revelation of the Universal Form”. A number of poets have had and tried to express this experience of illumination, the greatest of them being Dante, who fills the “Paradise” of his Divine Comedy with expressions of light. At the beginning of the Canto he clearly claims to have undergone the ineffable experience of the loftiest Light, the light that pervades the highest level, the “heaven” closest to the Supreme Reality which is God. In the consciousness of its percipients, manifestation of the light assumes different aspects; or rather, different aspects of light dominate according to the individual, since they are not separate but interpenetrate and fuse in varying proportions. Sometimes, as in the case of Tagore, the cognitive aspect is overriding. In the Christian as well as the Eastern mystics it is associated with feelings of love and adoration. In others it arouses a sense of joy, which may reach ecstatic bliss. But, I repeat, it is a matter of the prevalence of one or other of these aspects. In general all are present to a certain extent. A type of illuminative experience different from those mentioned so far is the “flash” of consciousness, often a sudden perception, of what a human being is, in which an individual experiences a revelation of himself. This revelation can have various, sometimes opposite, features and effects. The first, of a strongly positive nature, is the vision of the wonderful potentialities latent or active on the superconscious levels. They can yield a dazzling revelatory flash of the spiritual Self. This is accompanied by a new understanding, a true comprehension, of the self and of others. The consciousness, while experiencing a sense of enlargement and expansion, is suffused by feelings of joy, goodness, love and gratitude. Even this revelation, however, if unexpected, sudden and over-intense, can produce undesirable and even unhealthy reactions. It can generate a sensation of excitation and exaltation. In cases where awareness of the difference between the spiritual Self and the personal “I” is lacking, the latter may attribute to itself the qualities and power of the former, with megalomania as the possible end product. The other, reverse, aspect of inner illumination is the revelation of the inferior, dark features of the personality, hitherto ignored or unrecognized, or more or less negated and repressed in the subconscious. They constitute what Jung calls the “shadow”. When experienced without warning, this revelation can prove emotionally unbalancing, being often exacerbated by depressive states, fear and even despair. The prevention, or at least abatement, of such effects is responsive to a prior psychological preparation. The key to this preparation is a knowledge of depth psychology, which cushions the shock of surprise and assists the acceptance of the revelation by exposing the truth that the dark features of the personality form part of the general human condition. Other reactions, less extreme but still damaging, can be experienced at the emotional as well as the physical level, should the nervous system not tolerate the intensity, or “voltage”, of the irruptive psycho-spiritual energies. I have written of this in my monograph, “Self-Realization and Psychological Disturbances”, incorporated in Psychosynthesis – A Manual of Principles and Techniques, (N.Y., Hobbs, Dorman & Co., 1965). Here I shall confine myself to saying that in this case, also, a preventive aware-ness of the different levels of human nature, as afforded by “three dimensional psychology”, can lessen and help tolerate the reactions in question, as well as indicate the methods of eliminating them. Inspiration and psycho-spiritual creation represent other types of relationship and interaction between the superconscious and consciousness. It is of importance to reach a realization of the differences existing between illumination, inspiration, and creation, and keep them clearly defined, as they are often confused. illumination can confer inspirations and often does so, but not always. With some mystics illumination remains subjective and may create a contemplative state. It often unleashes a rush of love and aspiration to become united with God, to fuse oneself with the Supreme Reality; but it does not necessarily inspire external expression or instigate action. On the other hand there is the type of inspiration which takes place without illumination, elevation and expansion of consciousness. Most composers experience it at one time or another, but Mozart testified to the frequency with which it virtually “dictated” his works from early childhood on. A distinct difference is to be noted between inspiration and creation. In its deeper sense inspiration denotes the process whereby more or less elaborated contents pass or descend from transpersonal levels, from the superconscious, into the field of consciousness. Creation is, rather, a process whereby these contents are elaborated prior to their descent or appearance in consciousness. Creation is thus analogous to the conception and gestation of a new organism in the maternal uterus, inspiration being analogous to the birth or emergence of the creature. The “birth” can occur at various stages of the elaboration. In some cases the product enters the consciousness clearly formulated and complete, equipped to pursue an autonomous existence, as occurs biologically in the case of many animals. In others, it “surfaces” in a crude, unfinished state, needing to be worked on, sometimes extensively, by the conscious “I” until it acquires an adequate form. Analogously to physical parturition, the birth is sometimes spontaneous, rapid and easy, and accompanied by a feeling of joy. Yet it can be difficult, protracted and painful. In a certain sense this is the most important stage, for it gives significance to all that precedes it. Intuitions, illuminations and the revelations they produce must be properly understood if erroneous interpretations, faulty applications, and inappropriate and even harmful actions are to be avoided. These types of error are so frequently encountered that quotable examples of them abound. I shall, however, refer only to two extremely common classes; one consisting of misinterpretations of impulses or inner “commands” to act; the other of mental failure to grasp truths which appear in the field of consciousness. An outstanding example of the first type is a well-known episode in the life of St. Francis. Shortly after his conversion, while engaged in prayer, he heard an inner voice telling him to “go and restore my Church”. Aware that there was nearby a small abandoned church, he interpreted the message as a divine command to repair it, which he proceeded to do. Only later did he understand that the words carried another and far wider meaning. the revelation concerned a mission to restore the Catholic Church, then passing through a phase of conspicuous decadence. How admirably he fulfilled this mission is common knowledge. An example of the second type, totally dissimilar in character, has to do with a very different sort of man. It concerns the flashing revelation that Friedrich Nietzsche had of the great cycles which unfold in the eternity of the cosmic becoming. He interpreted and expressed this revelation in his theory of the “eternal return”. He argued that, time being without limit, while the number of existing material atoms, however vast, is finite, and their possible combinations are necessarily finite, it follows that sooner or later these combinations must recur and reappear as they were before, repeating the process ad infinitum. This discouraging doctrine was the natural outcome of an erroneous premise which held that the number of atoms was finite and invariable. Leaving aside the inherent absurdity of this hypothesis, it has been confuted by the demonstration by modern physics that the atoms of matter are continually disintegrating, to form new ones with different properties. What Nietzsche had intuited was the cyclic nature of cosmic manifestation, of the evolutionary process. This corresponds to the Eastern conception of the great cycles governing the appearance and disappearance of the worlds-in other words, of the periodic emergence of matter, its evolution in innumerable forms (Manvantara), and finally its reabsorption into the spirit, the unmanifest (Pralaya). Recent discoveries in astronomy of the formation and dissolution of stars and galaxies fully confirm this conception. Applying it to the human scale, Eastern beliefs interpret it in terms of the cyclic manifestation of the soul in a series of bodies (reincarnation). But none of that implies an identical return, but rather points to a reappearance in progressively finer forms, an evolution following an ascending spiral. This misconception on the part of Nietzsche affords a striking example of how an originally correct intuition can be misinterpreted. The psychological field is the scene of a never-ending series of problems associated with symbol interpretation, aod one in which confusion and error are continually cropping up. A particularly fertile round for misunderstanding is the symbolism employed in dreams and myths, as well as that appearing in artistic and literary works. While these errors often derive from the preconceptions and private theories of those who interpret, a further difficulty stems from the proneness of symbols to carry different meanings at different levels of reality, without their coining into conflict or being mutually exclusive. This should always be borne in mind. 1. See “Symbols of Transpersonal Experiences”, Journal of Transpersonal Psychology, Spring, 1969; or Reprint 11, Psychosynthesis Research Foundation, N.Y. 1969.